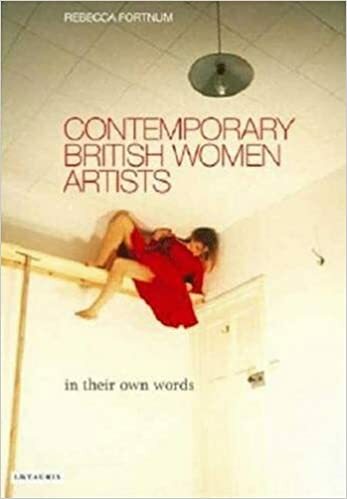 In these brand new interviews, twenty of the most important women artists practicing internationally but based in Britain discuss their work, their influences and their relationship with the art historical canon. Enlightening and hugely entertaining, the interviews, with artists spanning different generations and working in media as diverse as performance art, painting, sculpture, video and installation, give fascinating insights into both the artists' lives and the creative process. Fortnum speaks to: Jananne Al-Ani, Gillian Ayres, Claire Barclay, Christine Borland, Sonia Boyce, Maria Chevska, Tacita Dean, Tracey Emin, Anya Gallaccio, Lucy Gunning, Jane Harris, Runa Islam, Vanessa Jackson, Emma Kay, Tanya Kovats, Maria Lalic, Hayley Newman, Paula Rego and Jemima Stehli and Tomoko Takahashi.